New Delhi, July 22 (IANS) On the eve of Sunday’s Women’s World Cup final against England at the Lord’s in London, the Board of Control for Cricket in India (BCCI) on Saturday announced a cash prize of Rs 50 lakh for each member of the Indian team for their performance. The cricket board also announced a cash award of Rs 25 lakh each for the support staff of the Mithali Raj-led side. Aiming for their maiden Women’s World Cup crown, India rode on all-rounder Harmanpreet Kaur’s breezy 115-ball unbeaten 171 to knock Australia out by 36 runs in the semi-final at Derby on Thursday. 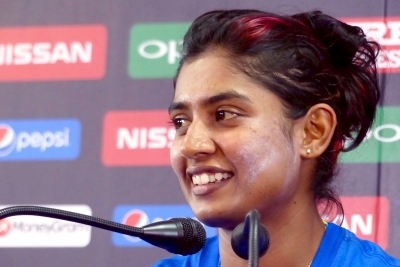 “The team has a good blend of young talent and experienced campaigners in captain Mithali Raj and Jhulan Goswami. The all-round performance was on display in the semi-final against Australia women, who have won the World Cup six times. The fearless batting of Harmanpreet Kaur mirrors the team’s approach under pressure,” Khanna added. This is the Indian women’s team’s second entry in a World Cup final, having lost to Australia in their first attempt in 2005 at Centurion.